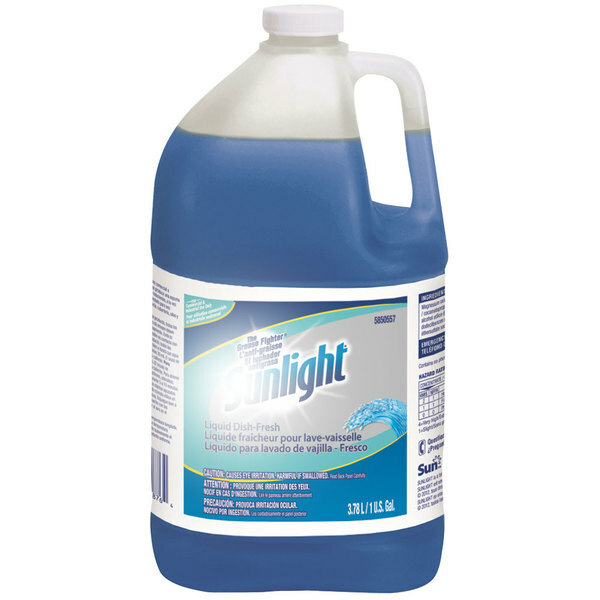 Wash your dishes to a spotless clean with the Diversey 95850557 Sunlight 38 oz. fresh liquid dish detergent! This soap cleanses your dishes and comes in a 38 oz. bottle for easy application. And thanks to its mild and balanced formula, this soap can quickly produce suds and eliminate grease and grime on everything from cutlery to pots without harming your hands. An excellent choice for any automated warewashing application, this detergent is pH balanced to eliminate the toughest grime without harming sensitive hands. The 1 gallon container comes with an easy pour handle, ensuring all your employees are able to use the solution effectively. The Diversey Sunlight 1 Gallon Fresh Liquid Dish Detergent is a great buy. It fights grease and it smells great. It suds well and gets dishes clean. You can't beat the price. You can never have enough dish detergent in a restaurant kitchen. This detergent holds up well to extended washing sprees and is strong enough to cut the toughest grease. Save Up To $15.09 with our Recommended Product! Why pay more for the same great product? 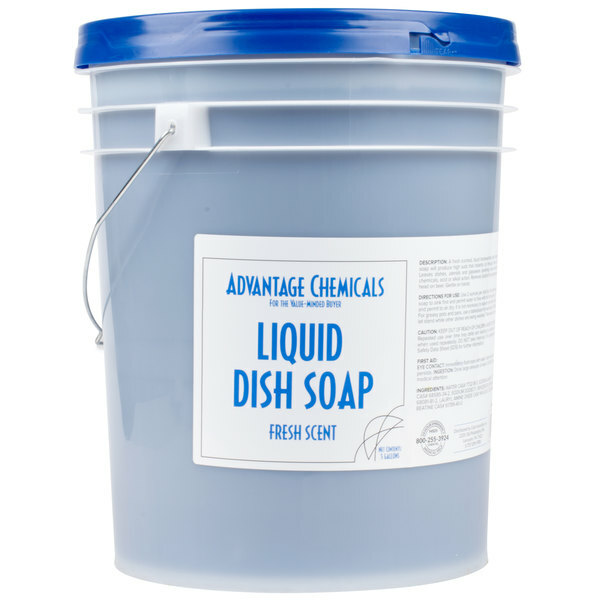 Like the Diversey 95850557 Sunlight fresh liquid dish detergent, this Noble Chemical Pan Pro II pot and pan soap has a high-sudsing formula that easily cuts through grease, dirt, and food build up. However, the Noble Chemical product comes to you at a lower price! Save your money and make the switch.